Building muscle has more benefits that you would first think. The most important benefit for most people is that muscle is metabolically active. The significance of being metabolically active means your body burns calories to maintain your muscle mass. 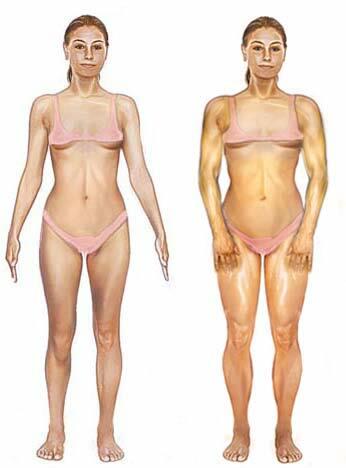 Fat is far less metabolically active than muscle. If you are all about body fat reduction, muscle building still may be a goal for you. If you are overweight and trying to lose weight, the muscle you have is your best friend because it will increase the calories you burn at rest as well as when you are doing cardio. This is not only good for sports and recreational activities, but it will also help you perform your Activities of Daily Living (ADLs) more efficiently now and throughout your lifetime. Stronger muscles will also make your cardiovascular exercise more efficient to help you have better, higher intensity cardio workouts without succumbing to early muscle fatigue. Who can Benefit from Building Muscle? There is no age which is too old for resistance or weight training. Weight training and muscle building is considered by some to be the fountain of youth. Synonymous with muscle building, weight training can cause your body to become more efficient at dealing with stress, which has a lot to do with anti aging. If you are young and have a normal activity level, muscle building will naturally occur. The best time for you to start resistance training for muscle building is in high school. Around that age, your body is very receptive to training, and has less problems which are associated with age. Our bodies begin to change to adapt to our lifestyles. Unfortunately, as we get older our lifestyles generally become more sedentary. This sedentary lifestyle causes posture problems due to muscle imbalances from repetitive motions and being sedentary. The saying, “You can’t teach an old dog new tricks” begins to be apparent. If we do something wrong for years, it will be very hard to change. If your primary goal is to build muscle mass or increase your body mass, anyone can start a weight training program if you are healthy. If you are simply looking to tone up you should always perform your weight training before your cardio. Weight training before cardio allows you to concentrate 100% of your effort for an efficient workout to make progress more likely. Even if you look to lose a significant amount of weight, resistance training is beneficial because it will help you most importantly maintain the muscle you have. To build muscle really means muscle maintenance to people who look to lose weight or tone up. Even if you perform intense cardio, a maintenance weight training program will assure you when you lose weight, you will keep it off. If you do too much cardio and do not weight train, you could slow down your metabolism if you lose any lean body mass. It is advantageous to know your body fat percentage. Learn more about body fat percentage here. 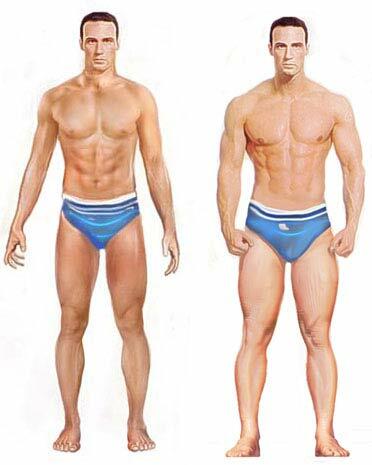 Why is it so Difficult to Build Muscle? If building muscle is difficult for you there may be genetic factors which limit your ability to build muscle. Building muscle takes more than just weight training. Proper nutrition and rest is key. If your goal is to build muscle, you must make sure to have a caloric surplus. This means you must eat more calories than your body burns. If you have a fast metabolism and tend to never gain weight this may mean eating a lot of calories. Muscle building requires resistance. The resistance can come from a variety of things. The first and foremost form of resistance you have is your body weight. If you have never tried muscle building before, your body weight will be a challenge. Even if you are an experienced weight lifter, your body weight may still be a challenge with exercises such as pull-ups and push-ups. Even experienced weight lifters have trouble starting a core exercise program. It is recommended that anyone interested in building muscle start with a core exercise program which is part of functional training. If you can not stabilize resistance properly, your body will not be able to control the muscles optimally. During weight training exercises, your body will not recruit the muscle group properly which will not use as much muscle mass as it would if you had a strong core. A weak core is in part the cause of many posture problems which plague people today. Functional training improves the efficiency of how your body moves. Whether you exercise in the gym, play sports or simply perform activities of daily living such as climbing stairs, functional training may be the best way to build muscle. What works for Mr. Olympia may not work for you. What works for 90% of people like you may not work for you. You have to use trial and error to find out the best way for you to build muscle. If your 100% effort towards building muscle does not yield any results there are many different plans and methodologies to try. The very best way to build muscle is to follow science and do the exercises that have worked for years. It is not all about doing the newest and coolest exercises. Results are the most important thing. The very best way to build muscle is no secret. Perform the exercises that the science of weight training were built on, and you should be able to build muscle. Building muscle requires more than just a great workouts in the gym. An option is to find a personal trainer. The advantage to working with a personal trainer is you will have to devote little or no energy to figuring things out. Your personal trainer will guide you through a progressive muscle building plan which you can learn from. Eventually you will know what to do on your own. Building muscle is not rocket science. If you apply basic scientific knowledge you can benefit from added lean mass (muscle). If you want to build muscle in less time, it is best to use 3 synergistic elements, training, nutrition and supplementation. Instead of taking lots of time to put the pieces of the muscle building puzzle together, hire a professional certified personal trainer who can remotely put you through workouts which will help you accomplish your goals of building lean muscle mass. If your goals is building muscle , you should incorporate resistance training for all your muscles. Find exercises for all body parts with all forms of resistance. Dumbbells, stability balls, barbells, medicine balls, and more. Remember it is important you do not neglect any of your major muscle groups. Whether your fitness goal is muscle building, losing weight, or toning up, your nutrition is going to make or break your program. Some supplements claim that they can help you build muscle. Some are supposed to help your body synthesize protein faster. Some are supposed to increase your workout intensity (how hard you work out) to cause your body to increase muscle building. There are many supplements which are a waste of money, and some which are great. Muscle is protein. Most people take in enough protein in their diets. If you take in enough protein in your diet, there is a good chance you take in excess fat which usually comes along with animal proteins. The best protein supplements have little or no fat and are high quality sources, so your body can use most of what is ingested.